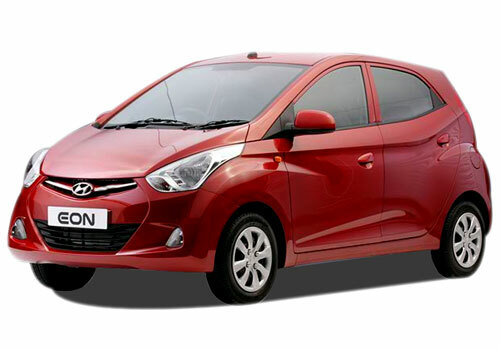 The largest exporter of the country Hyundai Motors India Limited (HMIL) has announced the introduction of three new versions of its entry level small car Hyundai Eon. The new three variants will be known as Hyundai D-Lite Plus, Hyundai Era Plus and Hyundai Magna Plus. These new three variants will cost an increase of up to INR 7,000 more against the current variants. Furthermore, these new editions will also be made available in Liquefied Petroleum Gas (LPG) powered variants. In order, to get the new variants in factory-fitted LPG kits, one needs to pay INR 27,000 as additional cost for the dual fuel small car. The present base model Hyundai D-Lite that comes with choice of air conditioner costs around INR 2.91 Lakh. Whereas, the latest D-Lite Plus, which is packed with standard air-conditioning and power steering will cost INR 2.98 Lakh (Ex showroom, Delhi). 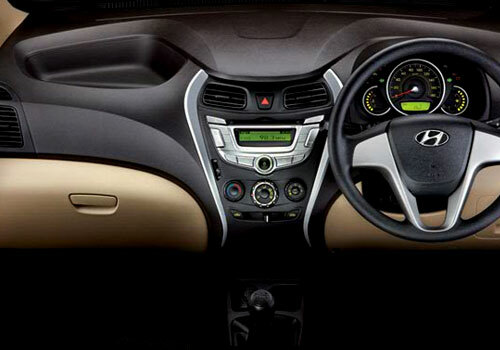 The Hyundai Era Plus that is now incorporated with an extra element of central locking and power windows at the front and priced at INR 3.12 Lakh, while the present normal Era variant costs INR 3.11 Lakh. Both the prices are ex showroom Delhi. Hyundai Magna Plus, the top-end model will now be made available at INR 3.42 Lakh (Ex showroom, Delhi), which comprises of new features in the form of a two-din audio system with USB combined with some more extra elements. The regular top model is priced at INR 3.37 Lakh. The new variants will be available with a regular 32 liter petrol tanks and additionally a 34 liter LPG tank. The company has shaped its LPG tank in ‘toroidal’ form, which takes less space as compared to usual LPG tanks that are fitted in other vehicles. Since its launch in 2011 the small car Eon is in stiff competition with its arch rival Maruti Alto and with these new arrivals, the competition will definitely see a boost coming days. HMIL retrails Hyundai Santro Xing, Hyundai Verna Fluidic, Hyundai i20, and Hyundai i10 together with premium offering in the form of upcoming New Hyundai Sonata and New Hyundai Elantra and existing Hyundai Santa Fe SUV. i got a view for eon magna plus...its really cool car with awesome interior and features..but maintenance is still an issue for a middle class family..parts are expensive..resale value is not so good..and milage ofcourse is a problem.